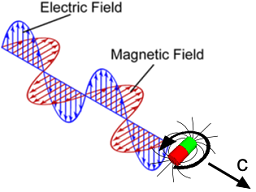 electromagnetic formulas can describe the negtrino itself. Just seeing the negtrino as something like a cylinder of negative charge spinning at speed of light, the formulas give a negtrino length of 0.5 pm (which corresponds to the size of atom cores if there is contact between the negtrinos) and that the force reaches out 1.4 pm or so. That is so cool – The elementary negtrino particle is just curled up electricity and can be described by simple electromagnetic formulas! Have you noticed how close that is to the Strong Force in Quantum Mechanics? GD: That is a highly interesting observation: I had not compared what I wrote in ToS 8.2.2 “Using the negtrino values above, the radius of the sphere becomes r = 1.41 fm. That is a hit again. 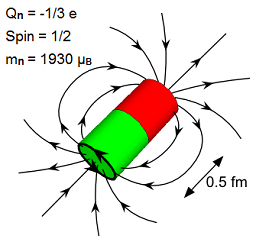 This distance shall not be interpreted as the radius of the negtrino – its magnetic energy is not balanced against its own electrostatic energy – but as an estimate of the stretch of the electrostatic forces inside a composed particle, that has to be overridden by the magnetic strong forces to hold the composed particle together.” with the Strong Force reach as spelled out in Wikipedia! I will add that remark to the ToS and credit you – Thanks! And yes, that is another strong support for the reality description of the ToS and that it is electricity and the analogue force equation that creates the elementary particle itself. It certainly supports the thought that reality is analog rather than quantum at the basic level. Can’t the researchers at MIT, where they developed the electrical Meep finite-difference time-domain (FDTD) simulation software package let us have look at the negtrino? It cannot be hard be too hard to simulate! By your own writing, you clearly do not understand the difference between mass and weight. How do you expect the scientific community to even consider your "theory" when you cannot grasp such a simple concept? You calculate the reduced Planck constant using numbers that you made up for a particle that you made up and offer the result as "proof" of the particle you made up. A high school algebra student could do the same. I do love your experiments, though. They are a source of infinite laughter for me. I wish guys like Archimedes, Newton, and Feynman were alive to read this "ToS". They would probably wish they could have pulled their theories out of their asses like you seem to have perfected. Hello Anonymous, I devoted all of blog post October 10 to you! Thanks for your comments. (BTW: I meant blog post October 12 above – not October 10). Regarding your Comment September 19 “I put in a request for Brian Greene to translate this theory so laypersons such as myself can understand it!” – Did you get any response? If not, can you ask again – say he might be amused, also. I think he is needed. I did not get a response. I'd be happy to resubmit. I'm really anxious for a review of your theory by someone who knows what they're talking about and can articulate a response more intelligently than "you're theory is dumb." When I started to look into the Theory of Something to repudiate it, I found that it agreed with the theories I researched. 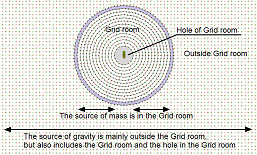 Presuming that the grid is equivalent to space: A photon is a resonance between a magnetic and electric field. I find that the thesis agrees. Gravity is the bending of spacetime by binding energies. In the same way a double negative equals a positive, the thesis agrees. Instead of compressing spacetime, it is doing the opposite. 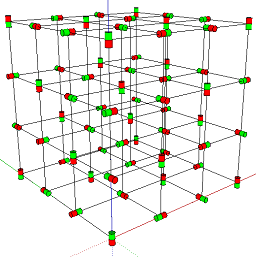 Yet the thesis agrees that to balance the grid, there must be a change in the density of the grid. Mass is the effect of bending spacetime and the thesis agrees. Neils Bohr once commented that as his studies encompass smaller and smaller particles, he feels that he is getting closer to an infinite volume of spiritual energy. It is my belief that he knew that spacetime was a form of energy, but did not have an appropriate way to explain it. 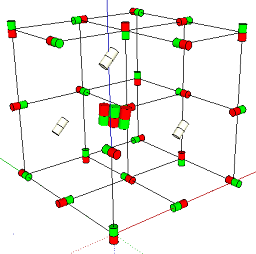 I have always had a problem with imposing additional dimensions in an attempt to explain how things work. 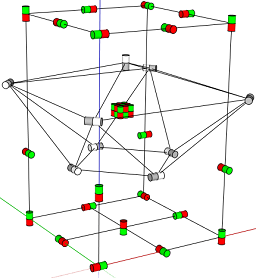 If two phenomenon both exist in three dimensions, but the math insists that they are at an angle to each other so that one or more additional dimension must be created for both to co-exist, then that tells me that something fundamental is wrong with the theory upon which the math is based. The fact that both exist in spacetime (three physical dimensions and one time dimension) proves my point. If they did not entirely exist in spacetime, then the phenomenon would behave differently and the fact that it operated outside of spacetime would be reflected in the math that purports to explain the phenomenon. Since neither phenomenon is shown to operate outside of spacetime, the existence of additional dimensions outside of spacetime is not demonstrated. I have always had some problems with the explanations of spacetime, superstrings, quarks, etc. The best I could do was a compromise that states that molecules are composed of atoms are composed of quarks are composed of superstrings are composed of twisted or knotted spacetime. Other than that, quantum mechanics theories did not seem logical or even realistic to me. It is my belief that Albert Einstein might have come up with his unified theory if he had not embraced quantum physics and tried to incorporate that into his attempt. According to the theory of universal inductive inference, everything we know about physics follows some unknown but computable probability distribution. Occam's Razor says that when two theories explain the same phenomena, the simpler theory is probably more correct. Of the points I examined, I find that the thesis explains those things which I do understand. I find the thesis to be much simpler and more comprehensive than the standard theories. I am willing to entertain the Theory of Something until something better comes along or experimental evidence disproves it. Historically, competing theories get ignored or given a blanket repudiation by those that have a vested interest in the 'mainstream theory'. Personally, I believe their energies would be better expended in trying to disprove the Theory of Something. If the Theory of Something is superior to the current theories, then the attempts to disprove it will, in fact, strengthen it. Thanks for your interesting comments. You are expressing things in quite general terms and then linking to my hand-on reality descriptions, while I actually developed the ToS the other way around. First I found the concrete detailed reality thereafter I understood the more general consequences. E.g. when you say “Presuming that the grid is equivalent to space” it was actually quite late I admitted and started saying that “the Grid makes up space itself”. I accepted such general expression first after having realized that there was a general “equation of everything” in ToS 8.2.1 creating Something out of Nothing. I am nowadays pretty sure it really creates the negtrino and the Grid – space itself – out of nothing. I continue this reply under James’ other comment above, below the January 5th post.